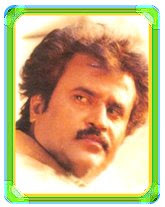 I remember reading in some interview of the Director P.Vasu, before the shooting of Kuselan started, that the movie would remind the audience about their old friends. ... but to me, when seeing this movie, it actually reminded about the curses given by others to me!!! They should have followed the original script, even if the movie had failed at the box office, at least the critics would have appreciated the efforts.